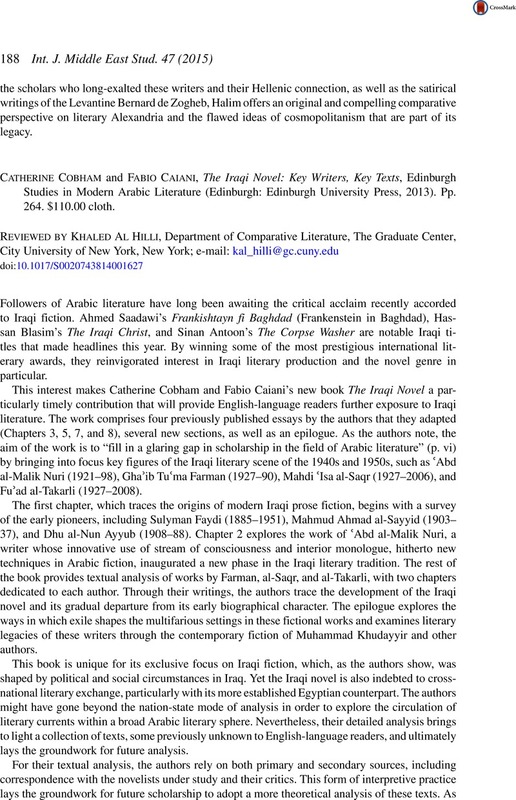 Catherine Cobham and Fabio Caiani, The Iraqi Novel: Key Writers, Key Texts, Edinburgh Studies in Modern Arabic Literature (Edinburgh: Edinburgh University Press, 2013). Pp. 264. $110.00 cloth.